The Army is staring down a pilot shortage caused by budget restrictions over the past several years, and leaders are now considering bonuses and other incentives and programs to fix the gap. Army aviation is short 731 warrant officer aviators across year groups 2010 to 2017, the director of Army aviation told lawmakers Wednesday in a hearing before the House Armed Services Committee's subcommittee on military personnel. Representatives from all four services discussed the challenges they each face with pilot manning levels during the hearing. "Several years of sustained fiscal constraints have required the Army to make difficult resourcing choices," said Maj. Gen. Erik Peterson. "Out of necessity, we've prioritized short-term readiness over long-term recruiting and training." In Army aviation, that translated into sending fewer potential aviators to flight school, which now means that the warrant officer community is aging and retiring more quickly than new pilots are coming in. "We simply could not afford to train the number of new pilots we need to sustain a healthy force," Peterson added. Though the Army has been able to balance manning despite the shortage, he said, many senior officers are filling junior billets to keep up. But the community is becoming top-heavy, and currently 25 percent of those senior officers are retirement-eligible. If the Army wants to keep adequate manning, it's going to need to bring in and retain more warrants to keep up with those who are retiring, Peterson said. The Army also is looking at an annual attrition rate that jumped from 7 percent to 9 percent in recent years, he added, and service leaders expect that trend to continue. To tamp down on that, the Army is looking into reviving its aviation retention bonus program. The active component doesn't currently offer a pilot retention bonus, but back in 2014, special operations aviators could take advantage of up to $25,000 to stay on. 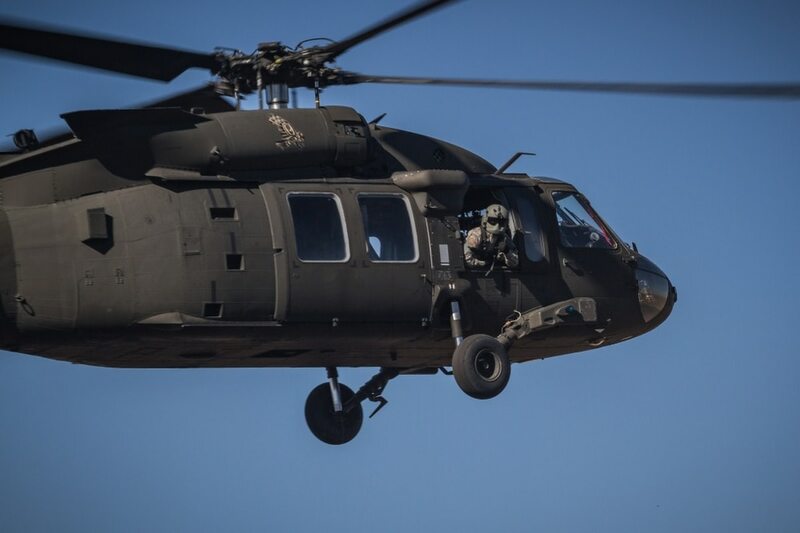 The Army has also made a push to bring all kinds of warrants, including aviators, into the National Guard and Army Reserve using cash incentives. This time around, Peterson said, his office is considering bonuses at two major milestones: After the initial six-year service obligation and at the 20-year retirement point. That could evolve, he added, if the Defense Department's new blended retirement program — which offers partial retirement benefits at 15 years — creates an attrition cliff. But the bonuses won't necessarily be a free-for-all. "We are exploring warrant officer incentives, not tied to merit, but tied to actual, objective advanced qualifications and skills," Peterson said. Beyond bonuses, the Army wants to bring in more pilots and get more through flight school to plus-up the more junior ranks. To do that, Peterson said, the Army will require "sustained, predictable, on-time funding and relief from the Budget Control Act." The Defense Department is operating on a continuing resolution, which is funding the military at fiscal 2016 budget levels through April. That means the Army can't depend on being able to funnel more money to flight school. "How does a CR for fiscal year 2017 affect the pilot shortage?" Rep. Trent Kelly, R-Mississippi, asked the panel. "In very straight simple terms, sir, it stops our initiatives to mitigate this," Peterson said. "We will not be able to increase the throughput in our flight school." The Army will also get closer to a manning cliff, he added, as retirement eligible-pilots leave the service with not enough younger officers to replace them.